Advancing Justice | Chicago’s theater night at Victory Gardens! Join Asian Americans Advancing Justice | Chicago for a night of theater at Victory Gardens to celebrate Asian American and Pacific Islander Heritage Month and build power for our communities! 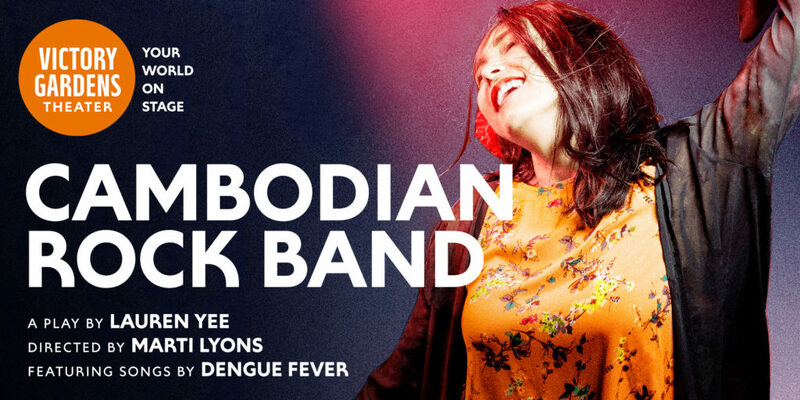 On May 4 we are inviting our community for a night at the theater and a performance of the play Cambodian Rock Band, by Lauren Yee, directed by Marti Lyons, with music by the band Dengue Fever. Tickets include a cocktail reception and full performance of the play Cambodian Rock Band, as well as an after-show discussion with the performers. Proceeds from the tickets will go towards Advancing Justice | Chicago’s mission to build power through collective advocacy and organizing to achieve racial equity. This epic play/rock concert thrusts us into the life of a young woman trying to piece together her family history thirty years after her father fled Cambodia. Featuring actor/musicians who perform a mix of contemporary Dengue Fever hits and classic Cambodian oldies live, playwright Lauren Yee brings to vivid life the Cambodian rock scene of the ‘60s and ‘70s, a movement cut short by the Khmer Rouge’s brutal attempt to erase the music (and musicians) once and for all. Directed by Marti Lyons (Native Gardens) this story is about survivors, the resilient bond of family and the enduring power of music. For questions and sponsorship opportunities please contact Shannon Downey at sdowney@advancingjustice-chicago.org.